YFC provides high-quality church based youth work resources used by thousands each month. 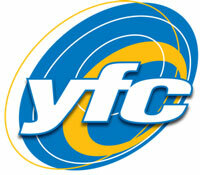 YFCONE is a gap year program for young adults aged 18-25 placing trainee youth workers across the country. YFC also runs a nationwide initiative called Reflex, which helps young offenders in custody to build a fresh start and break the cycle of offending. Your car donation with Charity Car would help to fund the valuable work YFC carries out in schools, colleges, churches, prisons and detached locations such as housing estates and parks.